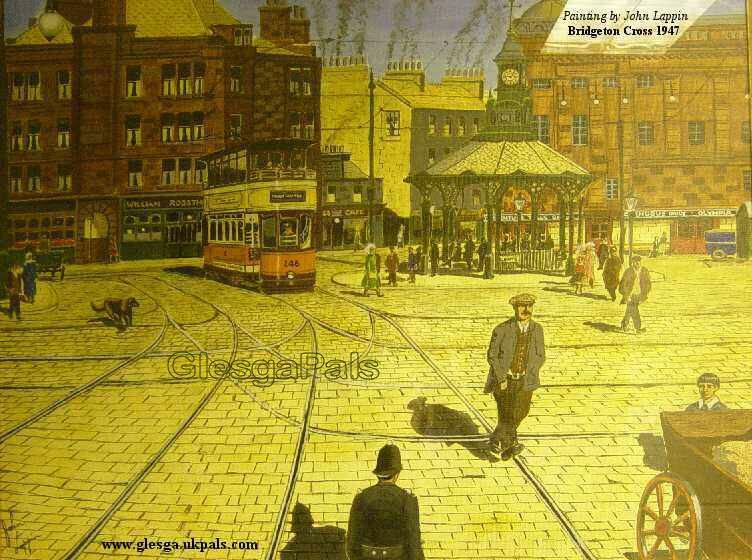 "What a wonderful painting of Bridgeton Cross. on looking at it I felt that I was right there. I would love to have that hanging in my living room. The man walking nonchalantly across the street reminds me of my step-Granda who lived in MacKeith St off Main St. I heard he had been run over by a tram car at Bridgeton Cross. Sad story!"